While Turning Point is known for assisting women in crisis, we haven’t forgotten about the men out there in San Diego County! 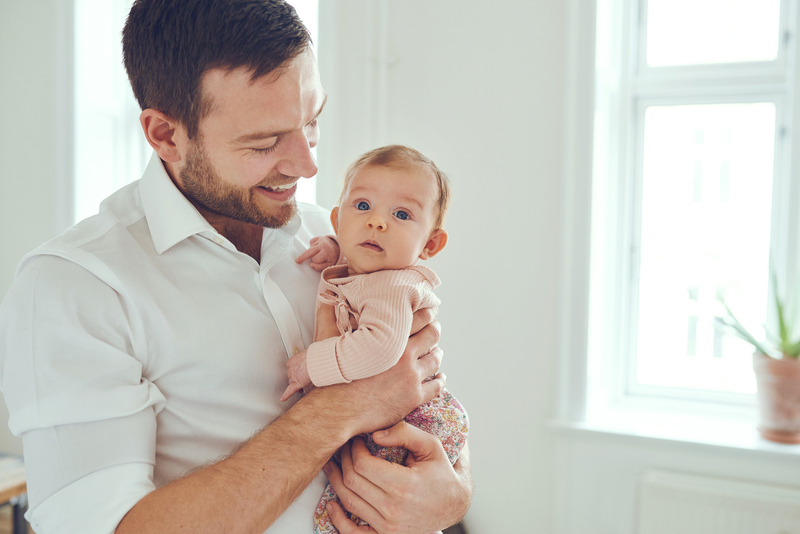 From our Brothers in Arms initiative to one-on-one counseling, we have the support personnel, programs and compassion to help fathers-to-be prepare for one of the most joyous, exciting and unpredictable time in their lives – the onset of fatherhood! Author Scott Kelby, author of The Book for Guys Who Don’t Want Kids, recently unveiled a few of his tips to become a great father. Forged from personal experience, Mr. Kelby’s advice rings true for would-be fathers of any age or background. Pre-child and post-child lives are like two different worlds, but it helps to reclaim a sense of “normalcy” whenever you can. Take trips with your child. Don’t be afraid of restaurants. Life the life you used to, with your child along for the ride! Easier said than done, but think about it: you helped bring a bouncing baby into this world, so enjoy the moment – and all the upcoming, unforgettable moments as well. Worry about the future when the future arrives. But for now, relish the experience of fatherhood! Part of becoming a great father is becoming a great partner or spouse. Help with feeding, changing diapers and other tasks – you’ll gain a greater bond with your child, and mom will appreciate the gestures as well! Everyone from your Uncle Dave (everyone has an Uncle Dave) to your friends will offer their input on the best way to raise a child. Use what works for you; not everything you hear applies to your particular family. The Turning Point Pregnancy Resource Center helps mothers and fathers, and we’re always here to help! Don’t hesitate to contact us; for a helping hand with fatherhood or a different perspective, please give us a call at 858-397-1970.